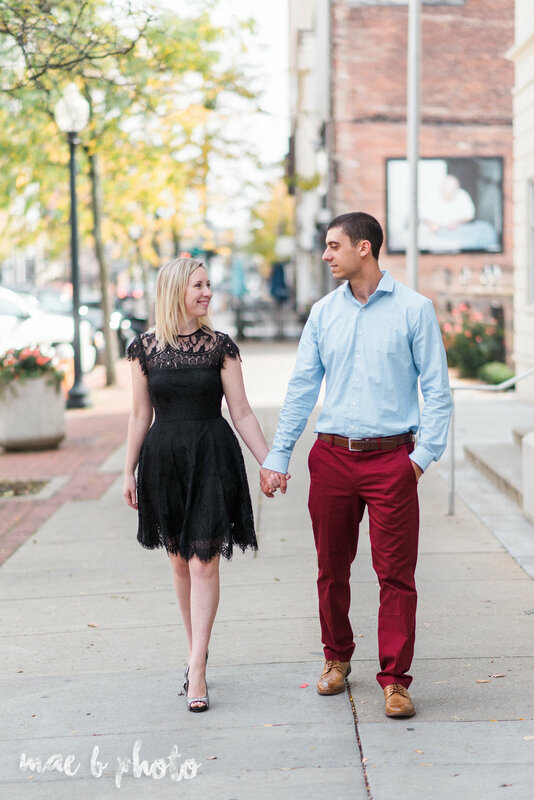 Wedding planning can be stressful, but Engagement Sessions don't have to feel like a chore! Most of my couples are actually surprised at how fun the session is. They're actually one of my favorite parts of the time I spend with my couples because we get to create something really special while getting to know each other better. If you're feeling a little stressed or lost about planning your e-sesh, here are five tips to help you feel more prepared for your time in the spotlight. 1. Find a photographer you connect with. Some couples don't realize just how important this is. Out of all of your wedding vendors, you will probably spend the most amount of time with your wedding photographer. You'll be chatting with them throughout the planning process, you'll have multiple coffee dates with them for your e-sesh planning and reveal, you'll be shooting with them for a couple of hours for your engagement session, you'll spend nearly THE ENTIRE DAY with them on your wedding day, and then a little more time with them to see your photos after the wedding is said and done. Can you imagine doing this with someone you don't have a connection with? That could get rough. Find someone who suits your needs photographically AND someone you enjoy talking with. It makes the whole experience much more fun! 2. Don't be afraid to dress it up. When it comes to your e-sesh, there is no such thing as too dressy! This isn't an ordinary shoot - it's a special event. Treat how you prepare for it like one. Pick outfits that compliment your body types and truly showcase your style. You should not only feel comfortable, but confident! If you're struggling on what to wear, think of your session as a fancy date night. The camera loves beautiful dresses, cute heels and fun accessories for the girls. For the guys, layers photograph beautifully. Think blazers or a vest paired with a different colored dress pant. Don't forget accessories, too! Ties, watches, oxford dress shoes - these are all great accessories to tie his outfit together. 3. Hair and makeup make all the difference. Styled hair and professional makeup application reads SO well on camera. Sometimes your normal day to day makeup routine just doesn't show up on camera how you want it to and you need a bit more. Professional makeup artists know the right amount of makeup that will photograph beautifully and make your natural features POP. This will leave you feeling extra confident for your time in front of the camera. As a quick tip, plan your trial run for your makeup on the day of your e-sesh. You'll be all dolled up for your session and will also see how your makeup wears throughout the day AND how it photographs. That way, you can make any changes you need to for your wedding day so you can feel COMPLETELY confident as you say "I do!" 4. Pick a location that's special to you. If you go somewhere you're comfortable with, it'll show in your photos. Trust me! Try picking a place that has significance to you two and it'll not only make you feel more relaxed but also help make your shoot more personal. 5. Be yourself and have fun! Let's get real. You're only engaged for this short period of time. CELEBRATE IT!!! 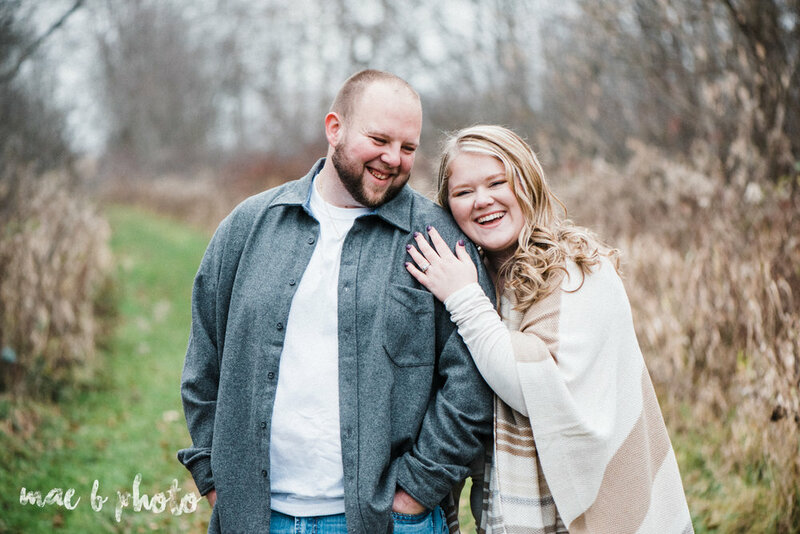 Don't shy away from laughter and whispering silly jokes to each other during your session. Your authenticity will show in photographs and you'll seriously adore those candid moments that your photographer captures. I truly hope you found these tips helpful. Confidence is key! If you follow these steps, you're sure to feel amazing going into your engagement session. Need more help? I go into much more detail in my planning guide that goes to all of my couples. We walk through the engagement session planning process step by step, from planning a theme to what color scheme works best in coordinating your outfits. If you're ready to chat, I'll meet you in my inbox!